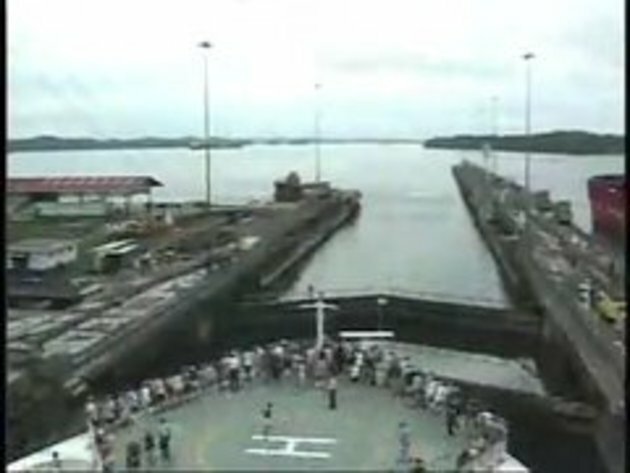 A time-lapse journey through the Panama Canal from the Atlantic to Pacific Ocean onboard a cruise ship. Video courtesy of CruiseJournals.com. A bit foggy but another nice time-lapse video. It's a very cool trip, but it's expensive to pass on that canal. It costs a lot to go through here... I went through 3 times once with my uncle on his Mottle 33 and two other times once on a 60 Oyster and the third time on a 68 foot custom built schooner. I went through it a few times myself. It is beautiful at night! The Vessel sits a lot lower in fresh water, it was a trip!